Effective March 23, 2010 Oregon’s Unlawful Trade practices Act (UTPA) was amended to include loans or extensions of credit. See ORS 646.605(6). Prior to that date, Oregon Supreme Court precedent dictated that a plaintiff could not bring a UTPA claim when the underlying conduct alleged to violate the act arose out of a loan or an extension of credit. See, e.g., Lamm v. Amfac Mortg. Corp., 44 Or. App. 203, 204-05 (1980). In part based upon the 2010 UTPA amendment, in 2012 the Oregon Attorney General adopted Oregon Administrative Rule (OAR) 137-020-0805, which prohibits certain conduct related to mortgage loan servicing, including failing to deal with a borrower in good faith. In December 2017, Julie Collis (Collis) filed a lawsuit against her mortgage loan servicer, Rushmore Loan Management Services, LLC (Rushmore), in the Eugene Division of the District of Oregon court, captioned Collis v. Rushmore Loan Management Services LLC, Case No. 6:17-cv-02062. Collis, a home owner, alleged that Rushmore, her mortgage servicer, had failed to deal with her in good faith as prohibited by OAR 137-020-0805(6) and in violation of ORS 646.608(1)(u) of the UTPA. Rushmore filed a motion for summary judgment arguing that Collis’s UTPA could never succeed as a matter of law because the 2010 UTPA amendment incorporating loans and extensions of credit was not retroactive and Collis’s mortgage loan was entered into long before 2010, and her last modification of the loan occurred just weeks before the 2010 UTPA amendment became effective on March 23, 2010. Rushmore argued that no matter which date was used, Collis’s UTPA claim arose out of a mortgage loan that predated the non-retroactive 2010 UTPA amendment and thus her claim could not be viable. Rushmore relied on multiple District of Oregon decisions dismissing plaintiffs’ UTPA claims, which it argued were analogous to the facts underlying Collis’s claim. Rushmore was represented by attorney Michael Farrell and Thomas Purcell of MB Law Group LLP. Collis was represented by Portland attorneys Michael Fuller and Kelly Jones (the author). In opposition, Collis argued that the conduct alleged to violate the UTPA, through OAR 137-020-0805, did not arise out of the mortgage loan, but instead arose out of Rushmore’s services in 2017, and “services” have always been covered by the UTPA, prior to the 2010 UTPA amendment. Collis also distinguished the previous District of Oregon cases that Rushmore relied on in support of its arguments. The Magistrate Judge agreed with Rushmore’s arguments, and in his findings and recommendations (F&R) suggested that Collis’s UTPA claim should be dismissed as a matter of law because the UTPA claim arose out of the mortgage loan which predated the 2010 UTPA amendment. In her objections to the F&R, Collis renewed her previous arguments and pointed out to the Article III Judge that the F&R completely ignored Collis’s reliance on what she believed was the most on point Oregon state court case on the issue, Cullen v. Investment Strategies, Inc., 139 Or. App. 119, 127 (1996). In Cullen, the Oregon Court of Appeals navigated the line between the “services” of a non-lender mortgage servicer, like Rushmore, which have always been within the ambit of the UTPA, and conduct arising out of the mortgage loan, which was not covered by the UTPA prior to the 2010 amendment. Collis argued that a close reading of the holding in Cullen, and the persuasive reasoning of an Eastern District of California court, in Contreras v. Nationstar Ltd. Liab. Co., No. 2:16-cv-00302-MCE-EFB, 2017 U.S. Dist. LEXIS 127357, at *13-14 (E.D. Cal. Aug. 9, 2017), that followed Cullen to reach the same conclusion on very similar facts, would in her case have led to an outcome that Rushmore’s conduct arose of its allegedly bad faith services in 2017, rather than out of the mortgage loan itself; therefore her claim was not prohibited by application of the pre-2010 amended UTPA. The Article III Judge (Court) declined to adopt the F&R (order available here). The Court agreed with Collis that Cullen was the most on point Oregon case and that Cullen’s reasoning confirmed that “[a] determination that a plaintiff cannot pursue a claim under the UTPA based on a loan or loan modification, however, does not bar UTPA claims against the servicer of a loan. Allegations against the servicer of a loan by a non-lender are aimed at ‘those services [that] fall within the UTPA even though the loan itself does not.’” Collis v. Rushmore Loan Mgmt. Servs. LLC, Case No. 6:17-cv-02062-MK, slip op. at 3 (D. Or. Feb. 7, 2019) (second brackets in original) (quoting Cullen, 139 Or. App. at 127). In specific regard to Collis’s UTPA claim, the Court noted that her “claim does not relate to the loan or loan modification, but to Defendant’s actions—or lack thereof—in servicing the loan. Specifically, Plaintiff alleges that Defendant failed to pay her property taxes as promised, ensured her that it had paid the taxes, failed to return her phone calls, and refused to provide her an accounting.” Id. at 4. The Court also found that the decision in Contreras, relying in part on Cullen, holding that the servicing of a loan was subject to the UTPA although the loan itself was not, was persuasive. Collis is continuing to litigate her claim. Collis is an important decision for several reasons. First, Oregon consumer plaintiffs (and the Oregon Department of Justice) can use it as support in future attacks to dismiss their UTPA claims based upon bad faith mortgage servicing conduct in violation of the OARs and UTPA. Second, if the F&R had been adopted, and its reasoning had spread, many Oregon home owners would have no claim for relief under the UTPA for a mortgage servicer’s unlawful mortgage servicing conduct if their mortgage or modification had been entered into prior to March 2010, even if the conduct complained of had occurred long after the 2010 UTPA amendment and adoption of the OAR regulating mortgage servicing in 2012. Clearly this would have negatively impacted many Oregonians who would have been left without a cause of action to seek redress for bad faith mortgage servicing conduct. This entry was posted in Uncategorized and tagged consumer law, Kelly D. Jones, Mortgage servicing, Oregon, portlandconsumerlawyer.com, Unlawful Trade Practices Act, UTPA on March 6, 2019 by kjones. On June 12, 2017, the U.S. Supreme Court issued a unanimous decision in Henson v. Santander Consumer USA Inc., the first decision authored by Justice Gorsuch. The slip opinion can be found here. Santander Consumer USA Inc. is a subsidiary of a large European bank conglomerate, and the principal purpose of its business is extending and servicing auto loans. Although it typically does not purchase accounts or debts from other creditors, in this instance, Santander purchased a portfolio of defaulted auto loan accounts from CitiFinancial Auto that had been the subject of a class action settlement against CitiFinancial. This portfolio included accounts owed by Ricky Henson and other consumers. Santander attempted to collect on the accounts, and Henson, along with four other Maryland consumers, sued Santander and multiple other defendants in the United States District Court for the District of Maryland, alleging various violations of the federal Fair Debt Collection Practices Act (FDCPA). any person  who uses any instrumentality of interstate commerce or the mails in any business the principal purpose of which is the collection of any debts, or  who regularly collects or attempts to collect, directly or indirectly, debts owed or due or asserted to be owed or due another. The district court and the Fourth Circuit both concluded that because Santander’s principal business purpose is the origination and servicing of auto loans, it did not qualify as a debt collector under the first definition. Santander also argued it was not a debt collector pursuant to the second definition because it does not regularly collect debts owed or due to another entity, as the only debts it attempted to collect that it did not originate were debts it owned. The Supreme Court upheld the decision of the Fourth Circuit, finding that Santander was not a debt collector that could be found liable for violating the FDCPA. The Court also rejected Henson’s argument that because 15 U.S.C. § 1692a(6)(F)(iii) specifically excludes persons who collect non-defaulted debt from the definition of debt collector, the term debt collector included all entities that regularly attempt to collect debts obtained after default. [T]he parties briefly allude to another statutory definition of the term “debt collector”—one that encompasses those engaged “in any business the principal purpose of which is the collection of any debts.” §1692a(6). But the parties haven’t much litigated that alternative definition and in granting certiorari we didn’t agree to address it either. With these preliminaries by the board, we can turn to the much narrowed question properly before us. Henson v. Santander Consumer USA, Inc., No. 16–349, slip op. at 3 (U.S. June 12, 2007). The two definitions of debt collector are clearly distinct, and an entity that meets either definition is regulated by the FDCPA. See Schlegel v. Wells Fargo Bank, NA, 720 F.3d 1204, 1208-10 (9th Cir. 2013); Pollice v. Nat’l Tax Funding, L.P., 225 F.3d 379, 405 (3d Cir. 2000). Unlike entities such as Santander, whose principal business purpose is originating and servicing active loans, the principal purpose of debt buyers is the acquisition of defaulted debts for the purpose of collecting on the debts—regardless of whether they themselves then collect on the debts or hire other debt collectors to collect on their behalf. See, e.g., Pollice, 225 F.3d at 405; see also Davidson v. Capital One Bank (USA), N.A., 797 F.3d 1309, 1316 n.8 (11th Cir. 2015) (distinguishing creditors like Capital One from other entities such as debt buyers, whose “principal purpose” of business is the purchase and collection of charged off debts, that cannot escape FDCPA regulation). After all, a debt buying business that acquired debts for any other purpose besides to collect them (or directing others to do so) would not be in business for long. This entry was posted in Uncategorized and tagged consumer rights, debt collection. debt buyers, Fair Debt Collection Practices Act, FDCPA, Kelly D. Jones on June 17, 2017 by kjones. Why should you care about Gordon v. Rosenblum, 276 Or. App. 797, 800 (2016)? Since 2002, the Oregon Department of Justice has received complaints surrounding the debt collection practices of Daniel N. Gordon, P.C. (“Gordon”), an Oregon law firm that works with creditors and debt collectors. After being the subject of a subsequent DOJ investigation, Gordon brought a declaratory action against the DOJ. Specifically, Gordon sought declarations providing that the Unlawful Trade Practices Act (“UTPA”) and the Unlawful Debt Collection Practices Act (“UDCPA”) did not apply to Gordon’s debt collection activities as those laws are codified in ORS 646.607(1), ORS 646.608(1)(b), and ORS 646.607(6). The trial court ultimately found in favor of Gordon, and permanently enjoined the DOJ from enforcing the UTPA and UDCPA against Gordon with respect to Gordon’s debt collection litigation. The DOJ then appealed. On appeal, the court affirmed that Gordon’s debt collection activities did not fall under the UDCPA. The court applied precedent and found that the UDCPA simply did not apply to Gordon’s practice of collecting debt through litigation. However, the DOJ prevailed with respect to the UTPA provisions. Specifically, the court held that ORS 646.607(1) applied to Gordon’s debt collection activities because the statute’s text does not require any sort of transactional or contractual relationship between Gordon and the debtor. That is, even though the statute requires “a customer”, the consumer in question does not have to be Gordon’s customer. The court also held that ORS 646.608(1)(b) applied to Gordon’s debt collection activities because the statute’s text also does not require a transactional or contractual relationship between Gordon and the debtor. The court found Raudebaugh v. Action Pest Control, Inc., 59 Or. App. 166 (1982) instructive and reasoned that no direct relationship would be necessary so long as the debtor could demonstrate detrimental reliance on Gordon’s misrepresentations. While the Gordon decision predominantly affects the work of the Attorney General’s office, the court’s ORS 646.608(1)(b) holding also affects the work of consumer protection attorneys in the private sector. Gordon provides additional support for a valid cause of action under ORS 646.608(1) with no direct or transactional relationship between the consumer and the violator. Simply showing that the consumer detrimentally relied on the violator’s misrepresentations is sufficient to apply the UTPA to the violator’s actions. The plaintiffs in Gordon even anticipated this reality and argued that such a holding would “dramatically broaden the UTPA” to unintended contexts. However, the Court of Appeals explained that Gordon was not being held accountable for the lender’s mistakes. Rather, Gordon was being held accountable for the misrepresentations that Gordon made directly to the debtors. Thus, Gordon allows for recovery from third parties under the UTPA without making the UTPA unfairly broad, provided that the consumer was harmed as a result of a third party’s misrepresentations. This entry was posted in Uncategorized on July 13, 2016 by kjones. On May 5, the Consumer Financial Protection Bureau (CFPB) released a proposed rule that would prohibit the inclusion of class action waivers into forced private arbitration clauses. Importantly, the proposed rule does not prohibit mandatory private arbitration clauses in consumer agreements in general, just the use of class action waivers. A typical consumer financial contract contains a lengthy arbitration clause specifying that the consumer agrees to resolve any dispute that she may have with company, or even other entities that the company may assign the contract to down the road, in private arbitration rather than in a court and waives the consumer’s constitutional right to have their dispute heard by a jury of her peers. Arbitration clauses are usually buried in fine print inside a long and legalistic contract, which may not even require the consumer’s signature to be valid and enforceable. Arbitration clauses are often referred to by critics as requiring “forced arbitration” or as “contracts of adhesion” as the consumer does not have equal bargaining power to reject the contractual terms, even if she could actually decipher the legalese and understand exactly what rights they were giving up and what she was agreeing to. Moreover, the typical arbitration clause contains a class action waiver, whereby the consumer waives their right to participate as a member, or representative, of a class action lawsuit and ability to aggregate their potential claims with other consumers who have been harmed by the alleged wrongdoer. In recent decades, as a result of congressional action (chiefly the Federal Arbitration Act (FAA)) and pro-arbitration judicial opinions broadly interpreting the FAA and prohibiting state regulations of arbitration based upon federal preemption doctrine, arbitration clauses have been largely upheld and have become ubiquitous. Whereas financial institutions and other private arbitration advocates have long touted private arbitration as an efficient and cost-effective method of dispute resolution, consumer rights advocates have called out for change arguing that mandatory private arbitration creates inconsistency in outcomes, offers a very limited basis to appeal wrong decisions, lacks transparency as the proceedings are not part of the public record, and actually increases costs for the consumer plaintiff—which ultimately means that consumers are much less likely to be able to secure legal representation to seek relief for the harms they suffered. Further, consumer advocates assert that class action waivers effectively eliminate the ability to hold corporate defendants accountable when the alleged damages may be quite small yet thousands, or perhaps even millions, of consumers were injured, because the inability to aggregate the claims of the many victims in a consolidated class case would necessitate a myriad of individual cases that would become much too costly and inefficient to litigate on an individual basis. It is important to note that this is just a proposed rule—there is a 90-day comment period starting from when the proposal is entered into the Federal Register, and then the CFPB will assess the comments and submit a final rule. Even then, if the rule is adopted, it will likely face judicial challenge given that the opponents of the rule are well-funded groups associated with national banks, institutional creditors, and other large corporations. Also, even if adopted, the rule would only regulate financial institution products (given the scope of the CFPB’s rulemaking authority), and even some financial products are exempted from the rule. The full text of the proposed rule can be found online here. This entry was posted in Uncategorized and tagged arbitration, CFPB, class action waiver, consumer, Kelly D. Jones on May 11, 2016 by kjones. As part of the 2015 budget compromise, the Bipartisan Federal Budget Act of 2015 (“Act”) signed into law by President Obama on November 2, 2015 amends the Telephone Consumer Protection Act’s (“TCPA”) prohibitions on autodialed or artificial/prerecorded voice calls (and texts) made to cell phones without the prior express consent of the called party by exempting calls or texts that are “made solely to collect a debt owed to or guaranteed by the United States.” Thus the exception shields even third-party collectors as long as they are attempting to collect on a government-backed debt. This exception applies even when the caller does not have the prior consent of the called party, and thus there is no way for the consumer to stop the unwanted calls by revoking consent. It appears that even calls made to the wrong party/number are nonetheless included within this exception. This amendment will likely affect student loan borrowers the most as this is the largest segment of government-backed debt collection—but the exception also presumably encompasses Small Business Administration loans, government-guaranteed mortgage loans, and federal tax liabilities. However, the Act allows for the Federal Communications Commission (“FCC”), the agency delegated TCPA rulemaking and implementation, to implement rules that “restrict or limit the number and duration” of calls made to cell phones to collect government-backed debts, but it remains to be seen if, and to what extent, the FCC will do so. Kelly D. Jones is a solo attorney located in inner SE Portland and represents consumers in unlawful debt collection litigation and bankruptcy cases. This entry was posted in Uncategorized and tagged debt collection, Kelly D. Jones, TCPA, Telephone Consumer Protection Act on December 30, 2015 by kjones. 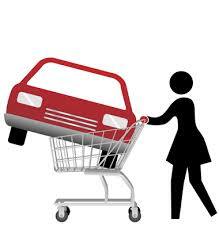 Vehicle dealers often come up with creative ways to obtain vehicle financing for consumers. Unfortunately some dealers violate the law when engaging in “creative financing.” Usually, the Retail Installment Contract (RIC) contains valuable information that can assist an attorney in determining whether or not the transaction was legal. The RIC is a valuable tool that can reveal Unlawful Trade Practices Act (UTPA) violations, Truth in Lending Act (TILA) Violations, and violations of the Oregon Administrative Rules. Oregon Law has specific provisions that apply to every vehicle RIC in Oregon. ORS 83.510(11) defines what an RIC is. Basically the RIC is an agreement entered into in Oregon where the vehicle dealer holds the title to the vehicle or a lien upon a motor vehicle, which is the subject matter of a retail installment sale. Retail installment sales make up the vast majority of vehicle sales in Oregon. Oregon law specifically prescribes the form and contents of the RIC. Most consumers are provided the long pink piece of paper noting “Retail Installment Contract” on the heading. ORS 83.520 notes a retail installment contract shall be in writing, shall contain all the agreements of the parties, and shall contain identifying information relating to the dealer, purchaser, and vehicle. ORS 83.520 has other statutory mandates, but the most important mandates are found in Section 3. ORS 83.520(3) (a) mandates the RIC contain the “cash sale price” of the vehicle. The “cash sale price” is defined as the price for which the vehicle dealer would sell to the consumer, and the consumer would buy from the motor vehicle dealer, if the sale were a sale for cash instead of a retail installment contract. The “cash sale price” can include taxes, registration, license fees and other charges for accessories and their instillation, and for vehicle improvements. ORS 83.520(3) is very important if you are addressing a negative equity issue with the vehicle trade in. The negative equity issue arises if the consumer owes more than the trade-in is worth. (See OAR 137-020-0020(2)(t) and (u) for a more detailed explanation of negative equity.) OAR 137-020-0020(3)(aa) prohibits the vehicle dealer from raising the “cash sale price” of the new vehicle to offset the negative equity in the trade-in. Negative Equity must be disclosed on the RIC. An unlawful negative equity violation may result in a UTPA violation, TILA violation, or other violations. ORS 83.520(3)(b) requires the RIC to note the amount of the buyer’s down payment, itemizing the amounts, if any, paid or credited in money or in goods and containing a brief description of goods traded in. Violations of this section regularly occur when the dealer is taking in property other than a vehicle as the trade-in. This section should be reviewed if your client has traded in that traded-in item as the down payment. For example, if your client traded in a television and video games to the dealer to be applied to the vehicle down payment, the dealership would violate the law if the dealership listed the traded in items as a $500.00 “cash down payment” on the RIC and failed to itemize the amounts given for the television and video games. Arguably, failing to comply with this section is a violation of ORS 646.608(1)(k), and ORS 646.608(1)(s). Another often overlooked sub-section is ORS 83.520(3)(j). That subsection mandates the RIC must include a plain and concise statement of the amount in dollars of each installment or future payment to be made by the consumer, the number of installments required, and the date or dates on which or periods in which the installments are due. Dealers sometimes claim to have deferred a down payment that was listed as a “cash down payment” on the RIC. Later the dealer asserts the consumer owes a certain amount of money for the down payment. However there is not anything in writing noting that the down payment is owed, and the documents note that the cash down payment has been made. This section mandates that if there are any future payments the amount and due date must be included in the RIC. Failing to include the deferred down payment in the RIC is likely a violation of ORS 646.608(1)(k) and may be a violation of OAR 137-020-0020(3)(t). Lastly, ORS 83.670 notes certain provisions in the RIC are unenforceable. This section prohibits the dealer from enforcing any provision granting the dealer power of attorney or confession of judgment. ORS 83.670 also prohibits the dealer from enforcing a provision in the RIC that allows the dealer or finance company to enter the consumer’s property unlawfully to repossess the vehicle. Vehicle dealers and finance companies also cannot use any provision in the RIC to commit any illegal act to collect payments. ORS 83.670(5) is the most important sub-section. This section prohibits enforcement of any provision in the RIC, or any document executed in connection with the RIC, that relieves the vehicle dealer from “liability for any legal remedies that the buyer may have had against the motor vehicle dealer under the contract.” ORS 83.670(5). As a result a waiver of rights or hold harmless agreement signed in conjunction with a RIC is unenforceable. Attorneys handling car cases are starting to see more and more waiver of rights forms that prohibit the consumer from exercising legal rights. Unfortunately, Oregon’s Vehicle RIC laws do not have a specific remedy provision. 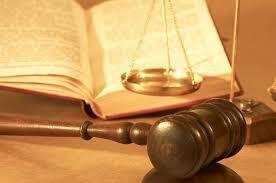 However, the careful practitioner can rely on these statutes to support various legal theories and allegations. If you find yourself involved in a case with vehicle financing issues, it is imperative you carefully review the RIC and ORS 83.510, et seq. Jeremiah Ross practices personal injury law and consumer law at Ross Law, LLC. This entry was posted in Uncategorized on December 29, 2015 by kjones. The statewide Legal Aid Foreclosure Help program is expanding the scope of assistance it provides to low-income Oregon homeowners and tenants facing foreclosure-related legal issues. Since 2012, Legal Aid Foreclosure Help has assisted hundreds of Oregon homeowners and tenants facing foreclosure-related legal problems. Legal services attorneys throughout Oregon have represented homeowners and tenants in foreclosure cases, Oregon Foreclosure Avoidance Program resolution conferences and disputes with loan servicers and landlords.  A homeowner current on her loan but who believes she may soon default.  A homeowner involved in a dispute with his loan servicer about an attempt to cure arrears.  A homeowner facing foreclosure due to unpaid Oregon property taxes.  A tenant whose home has been sold in a foreclosure sale. Assisting those affected by the foreclosure crisis earlier in the process can expand the range of options a homeowner or tenant has to save her home. Foreclosure Help’s expanded assistance also recognizes the need for continuing assistance for Oregonians amid the ongoing foreclosure crisis. Legal services attorneys directly serve Oregonians facing – or potentially facing – the possibility of foreclosure when their income is below or at 200% of the federal poverty guidelines. Legal Aid Foreclosure Help also can refer Oregonians between 201% and 400% of the federal poverty guidelines to a private attorney for pro bono assistance. The initial consultation is offered on a no-charge basis; pro bono attorneys are allowed to charge a reduced fee to callers referred by Foreclosure Help at an amount acceptable to both attorney and client. Homeowners and tenants may call the toll-free Legal Aid Foreclosure Help statewide intake line at 1-855-412-8828 (or in the Portland metro area 503-227-0198) to speak with an intake specialist. The caller will then be screened for acceptance. The intake line is open from 9:00 a.m. to 12:00 p.m., and 1:00 p.m. to 4:30 p.m., Monday through Friday. Intake staff can assist borrowers in English and Spanish, and can also assist homeowners and tenants in other languages via phone-based interpretation services. If you are an Oregon attorney who would like to volunteer your time to the Foreclosure Help Project, you can obtain an application to join the pro bono panel by calling 503-227-0198 in the Portland area, or toll-free at 1-855-412-8828. David Koen is a staff attorney with Legal Aid Services of Oregon and represents homeowners and tenants under the Legal Aid Foreclosure Help program. This entry was posted in Uncategorized on October 8, 2015 by kjones. The Oregon Home Solicitation Sales Act, ORS 83.710-83.750, can provide a powerful tool to help consumers rescind a door-to-door or other sale made at a place other than the seller’s main or permanent place of business. The Home Solicitation Sales Act generally applies to sales, leases or rentals of goods or services in an amount of at least $25 and purchased primarily for personal, family or household purposes. ORS 83.710 and ORS 83.010. It requires that sellers provide buyers with a written agreement – in the same language that the seller used for the sales presentation – containing specified information, including a notice informing the buyer that he or she has a three-day right to cancel. See ORS 83.730. Importantly, if the seller fails to provide a written agreement that complies with ORS 83.730, the buyer’s right to cancel continues until three business days after proper notice is given. See ORS 83.730(4) and 83.720(1). 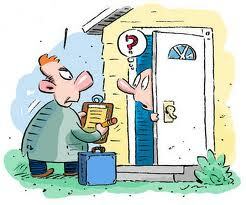 There is a similar FTC rule governing “door-to-door sales” – see 16 C.F.R. §429.0, et seq. – although the federal rule may not allow consumers a continuing right to cancel. Following is a checklist intended to aid practitioners in identifying potential violations which may give consumers rescission rights under the Oregon Home Solicitation Sales Act. For more information, see ORS 83.710-83.750 and Volume 2, Consumer Law in Oregon (OSB Legal Pubs 2013).  Was there a written agreement, signed by the buyer?  Copy of the written agreement given to the buyer?  Buyer’s copy of written agreement has been fully completed?  Date of transaction matches the date of buyer’s signature?  Written agreement is in the same language that was principally used in the sales presentation?  Buyer given two copies of a Notice of Buyer’s Right to Cancel?  Is the Notice of Buyer’s Right to Cancel printed in conspicuous, 10-point (like this checklist) or larger type?  Sales rep orally informed the buyer of the right to cancel? (1) (Date) You, the buyer, may cancel this agreement without any penalty, cancellation fee or other financial obligation by mailing or delivering a notice to the seller within THREE BUSINESS DAYS from the above date. (a) Any property you traded in, any payments you made under the sales contract and any checks or notes you signed will be returned within 10 business days following receipt by the seller of your notice of cancellation. Any security interest that arises from the transaction will be canceled. (b) You may either make available to the seller at your residence, in substantially as good condition as when received, any goods delivered to you under the sales contract or you may comply with the seller’s instructions regarding the return shipment of the goods at the seller’s expense and risk. (c) If you make the goods available to the seller at your residence and the seller does not pick up the goods within 20 days of the date of your notice of cancellation, you may keep or discard the goods without further obligation. (d) If you do not make the goods available to the seller, or if you agree to return the goods to the seller and you do not return the goods, you must perform all of your obligations under the sales contract. (3) To cancel this transaction, mail or deliver a signed and dated copy of this notice or other written expression of your intention to cancel, or send a telegram, to (name of seller) at (address of seller’s place of business) not later than 12 midnight on (date), the third business day after you signed the written agreement or offer to purchase. If you cancel, you must make available to the seller at your residence, in substantially as good condition as when received, any goods delivered to you under this contract or sale, or you may, if you wish, comply with the instructions of the seller regarding the return shipment of the goods at the seller’s expense and risk. To cancel this transaction, mail or deliver a signed and dated copy of this Cancellation Notice or any other written notice, or send a telegram, to [Name of seller], at [address of seller’s place of business] NOT LATER THAN MIDNIGHT OF [date]. See ORS 83.710(1)(a)(C): This should mean the seller’s main or permanent branch office or permanent local address. See ORS 83.710(1)(c): “Business day” does not include a Saturday, Sunday, or legal holiday. This entry was posted in Uncategorized on December 22, 2014 by kjones. More than one-third of Americans (35%) have a debt in collections, according to a study recently released by the Urban Institute. That means just about every third person you pass by on the street is dealing with a collection company in regard to a delinquent debt. Just about one out of every three Oregonians is also dealing with a debt collector. 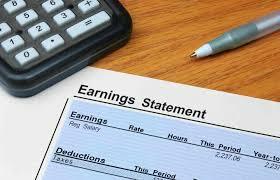 The same study found that 30.5% of Oregonians have a debt in collections, with the amount averaging $5,456. The national average amount of a debt in collections is $5,178. The national average debt is $53,850. The average Oregonian is $60,752 in debt, the ninth highest in the nation. Only 20% of Americans with credit records have no debt at all. Debt in collections often originates from nonpayment of a bill, including failing to make payments on an outstanding credit card balance, not paying medical or utility bills, or even not paying a parking ticket. After a debt is more than 180 days past due, it is typically placed in collections by the original creditor or sold to a third-party debt buyer. What the report reveals beyond the numbers is the daily financial distress millions of Americans are living under, as well as the degree of that distress. The collections industry recovers approximately $50 billion annually, mostly from consumers, according to a study published this year by a Federal Reserve branch research group. Thus while everyday Americans may be struggling, the collections industry is booming and cashing in on the situation. 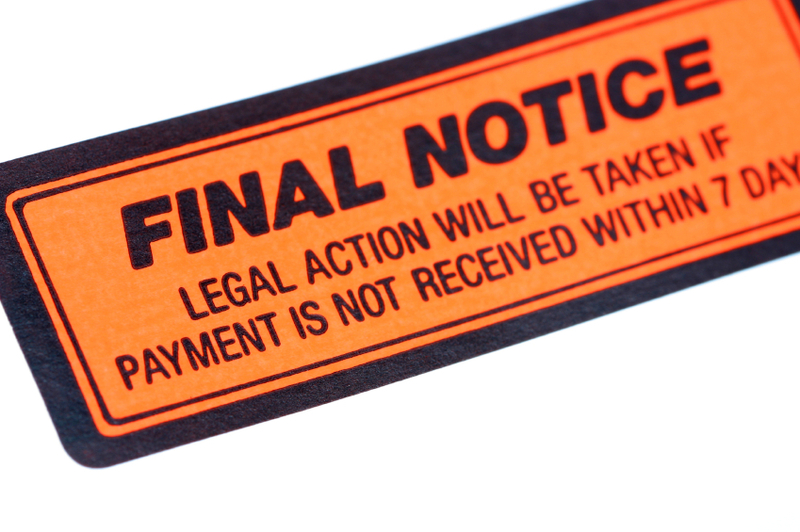 Debt collectors are regulated by the federal Fair Debt Collection Practices Act (FDCPA), among other state specific statutes, such as Oregon’s Unlawful Debt Collection Practices Act (UDCPA). This entry was posted in Uncategorized and tagged Consumer debt, Debt study, Fair Debt Collection Practices Act, Oregon debt, Oregon Unlawful Debt Collection Practices Act on August 11, 2014 by kjones.